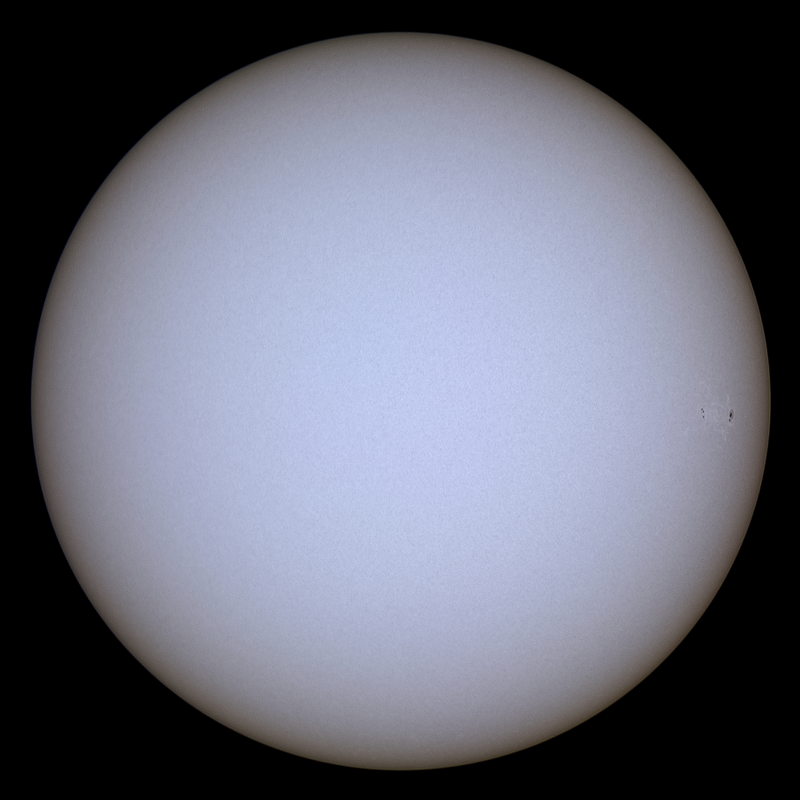 A static tripod mounted Panasonic Lumix DMC-FZ72 bridge camera at 60x optical zoom, fitted with a Baader solar filter OD 5, was used to image the Sun. The camera was set to burst mode, ISO-100 and 1/640s exposure at f/5.9. Images were captured in bursts of three. 129 images were precisely cropped and registered in Nicola Mackin's AstroCrop for Linux running on a Debian Linux laptop. The cropped images were stacked and wavelet processed in Registax 5.1 running in Wine and post-processed in the Gimp 2.9. Click on the image to get a closer look.